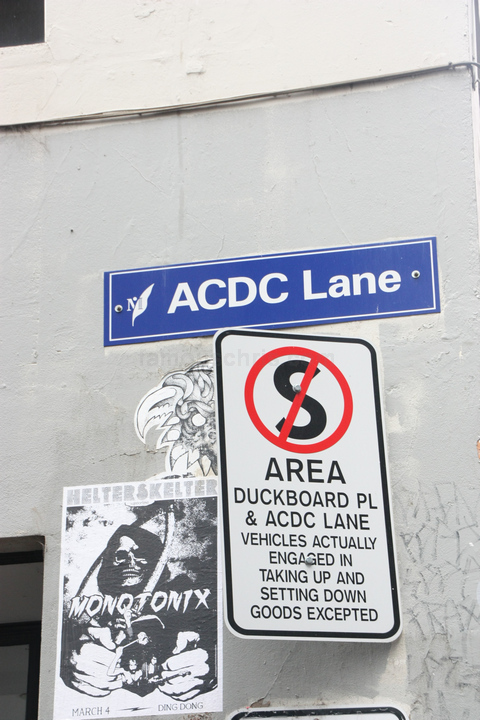 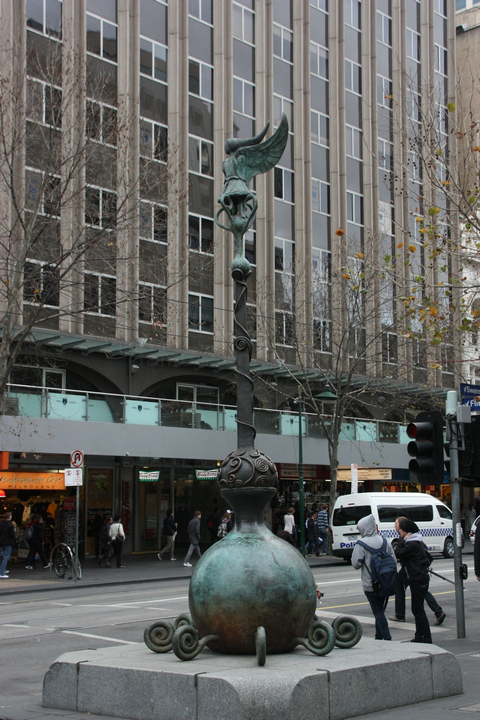 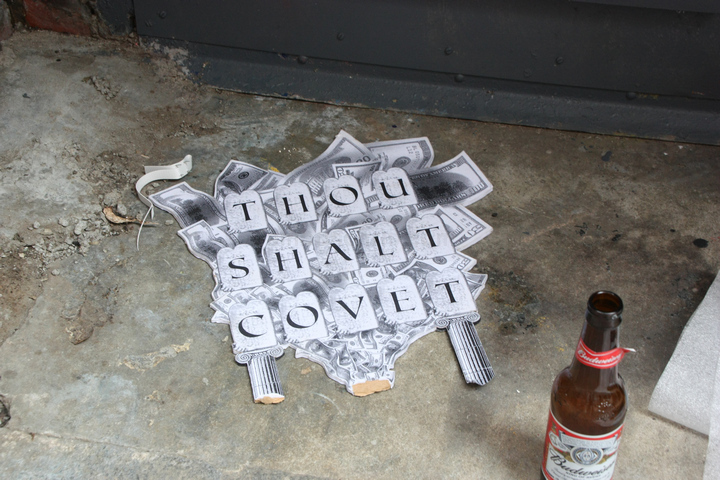 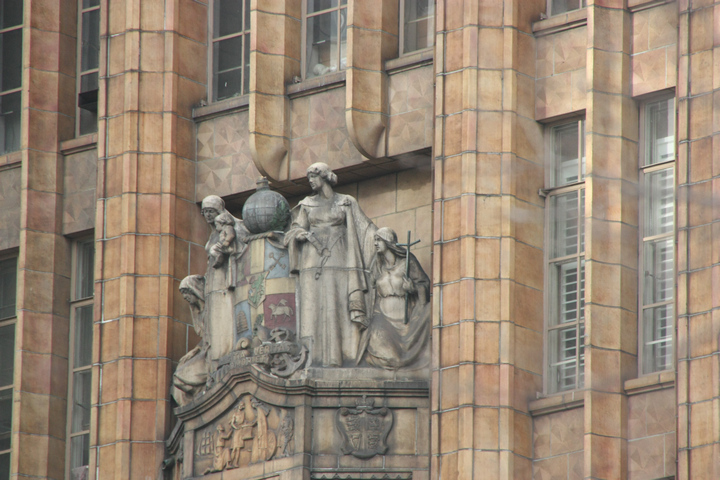 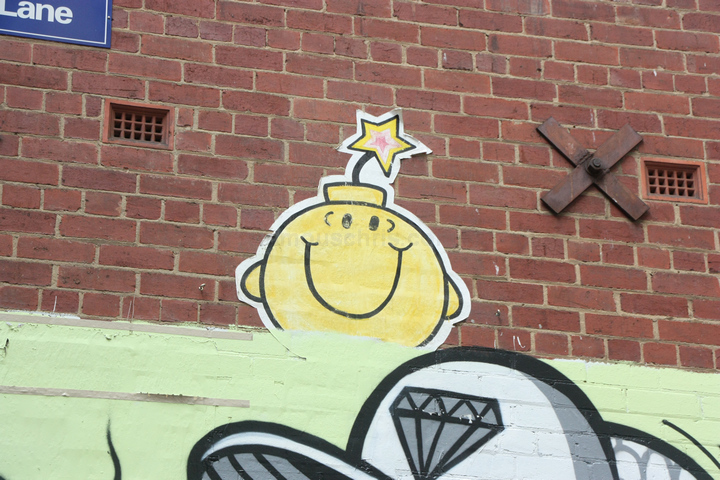 02.16 pm – Reached the corner of ACDC Lane. 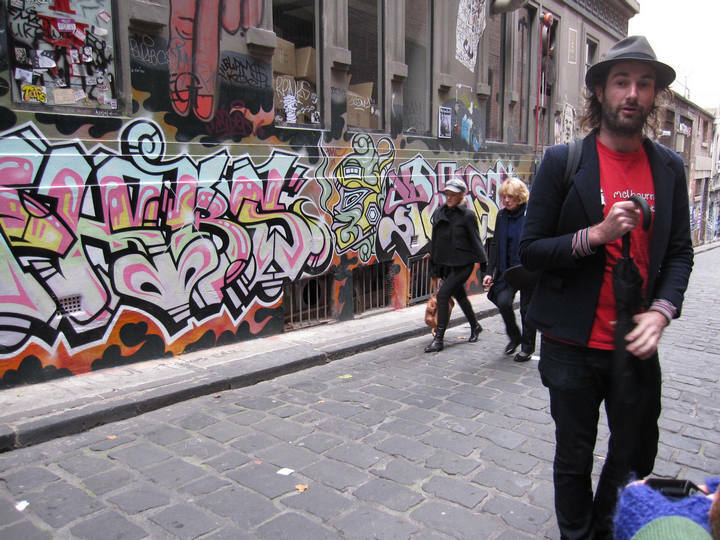 Dave explaining to us about the renaming of Corporation Lane to ACDC Lane as a tribute to the rock band on 1st October 2004. 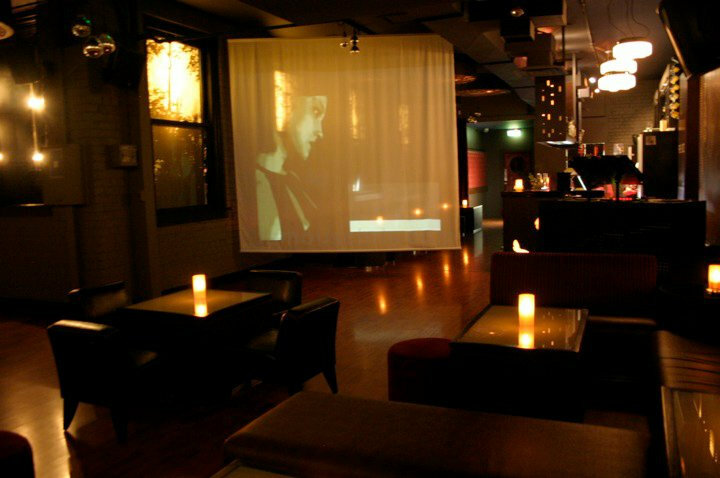 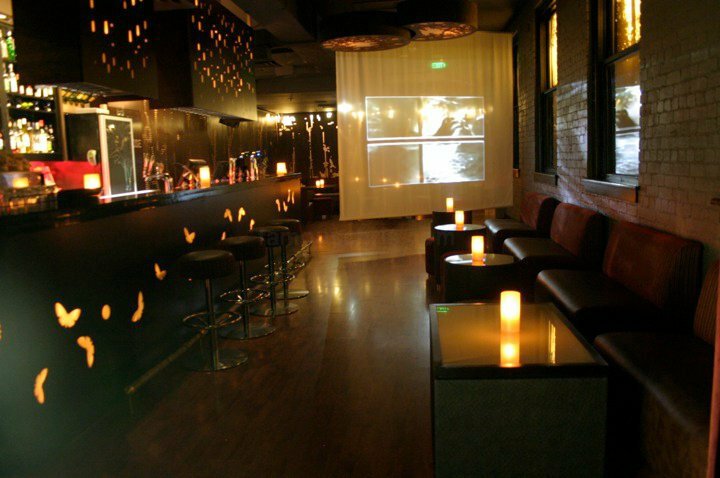 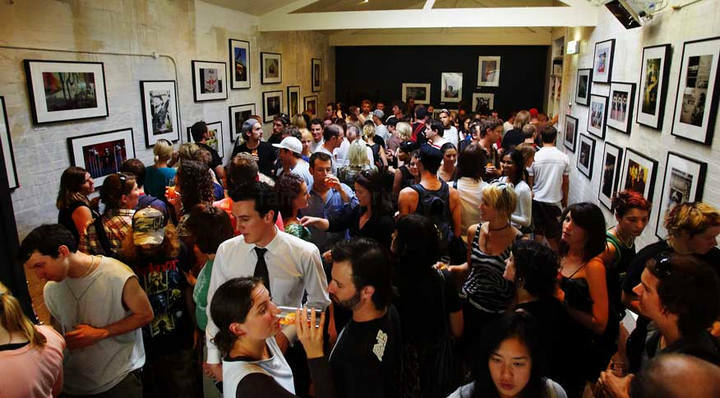 24 Moons, a very cool, hidden night bar. 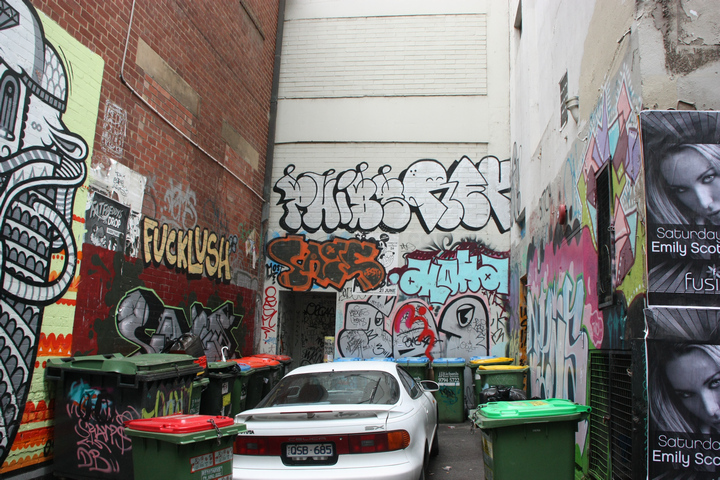 A corner in the lane. 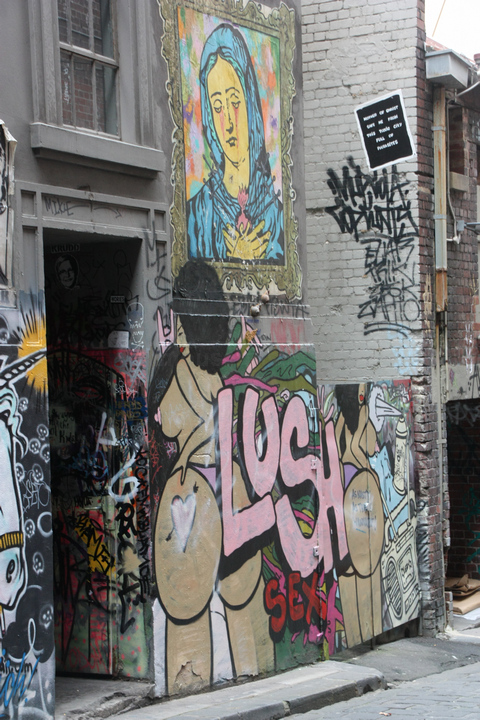 Someone must hate a place called ‘Lush’ very much. 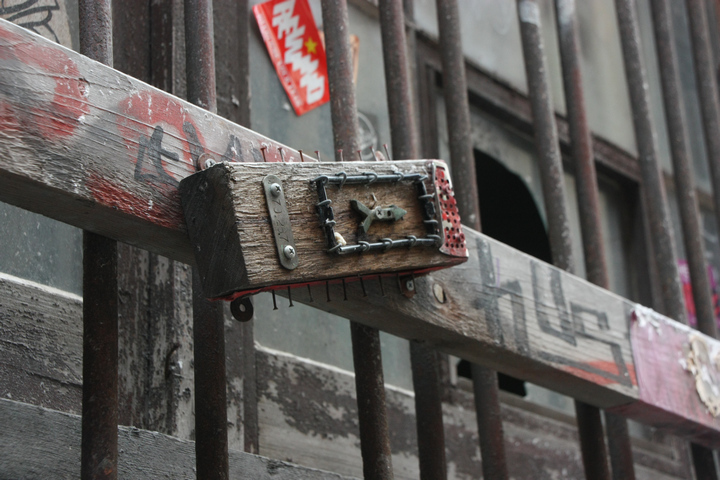 Another entrance to another unnamed joint. 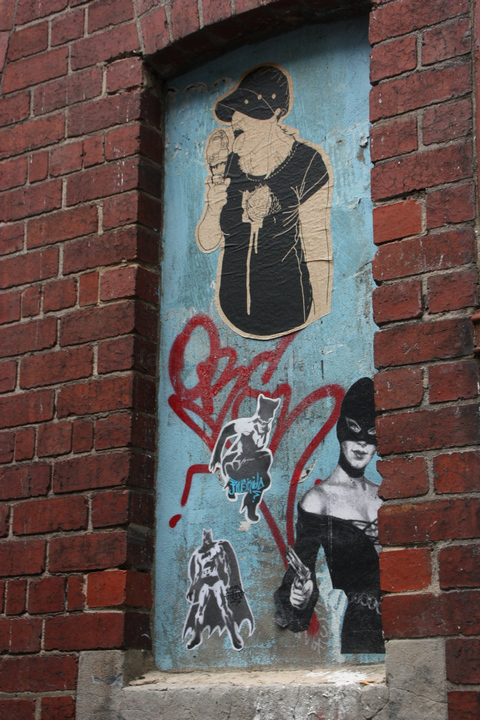 All sorts of wall art embracing the walls of the laneways. 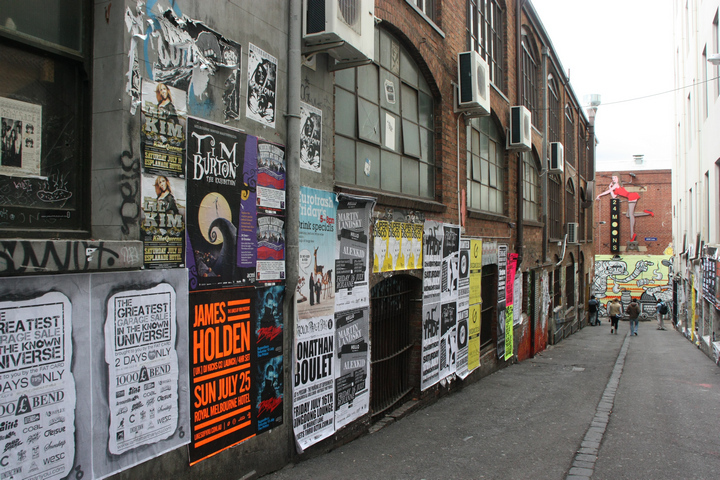 This Pussykat poster reminded me of Meow Club. 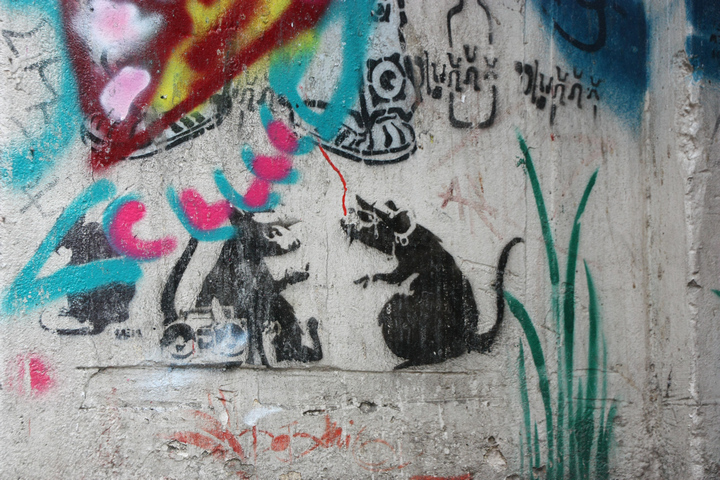 Dave was explaining that these mice were actually drawn by Banksy, a famous street artist. 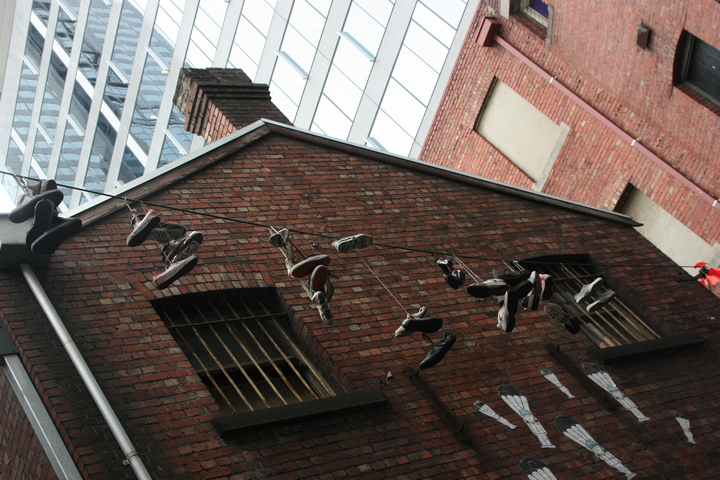 Shoes hanging on the wire. 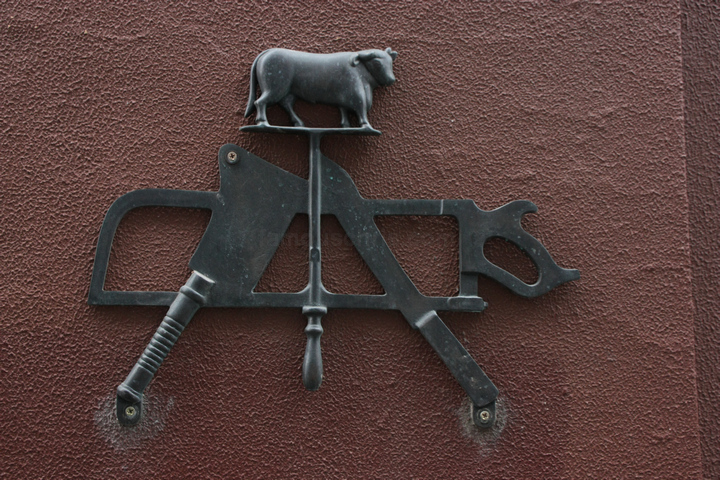 A mash of the machete, bowsaw, skewer and cleaver. 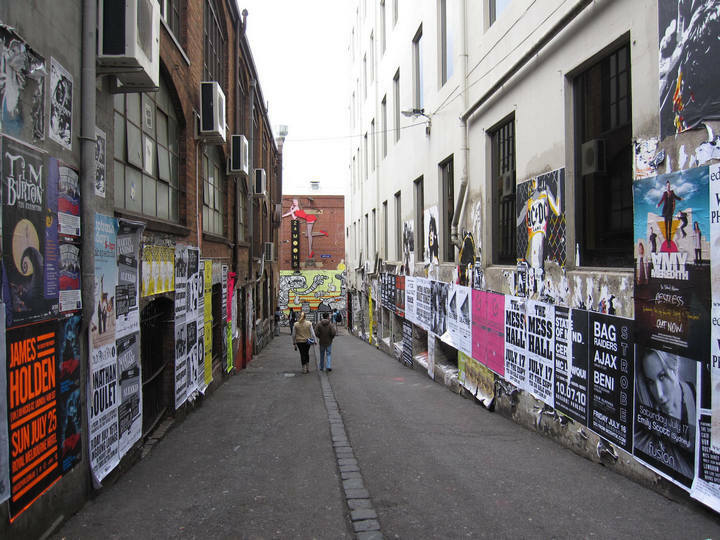 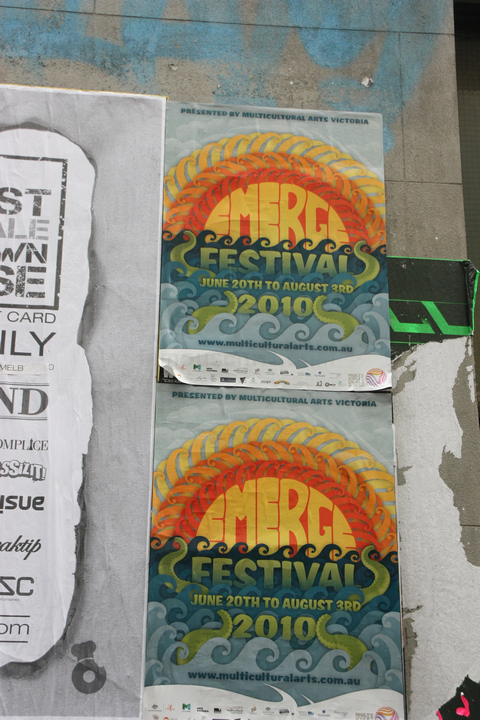 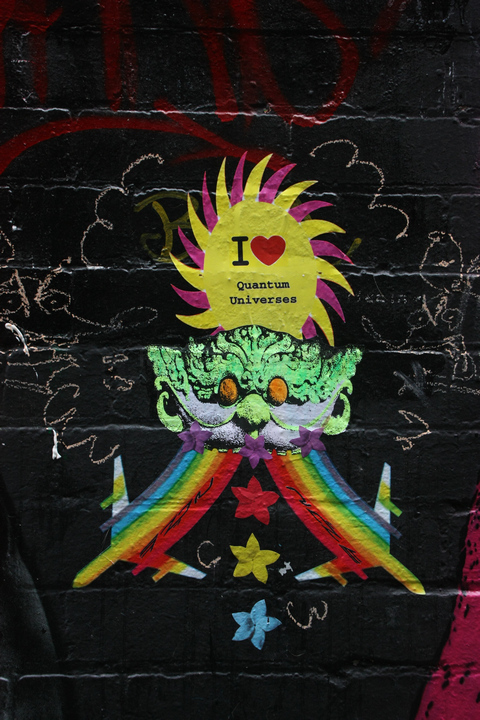 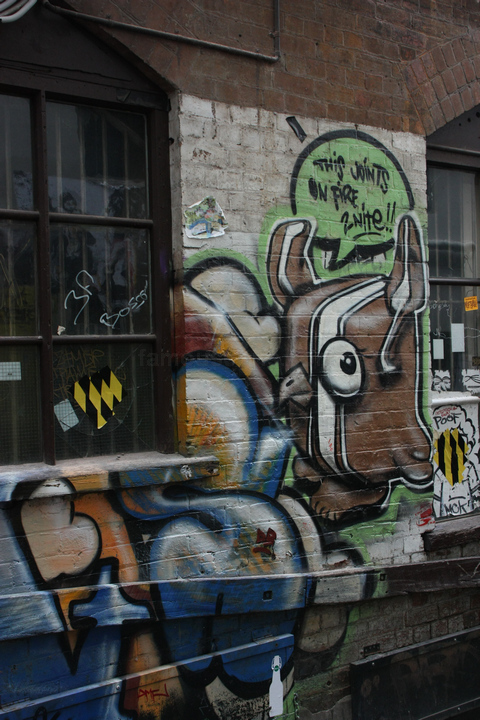 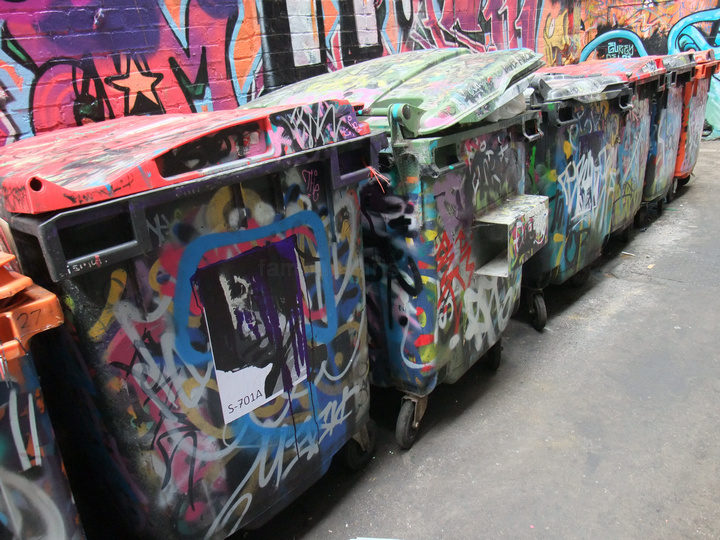 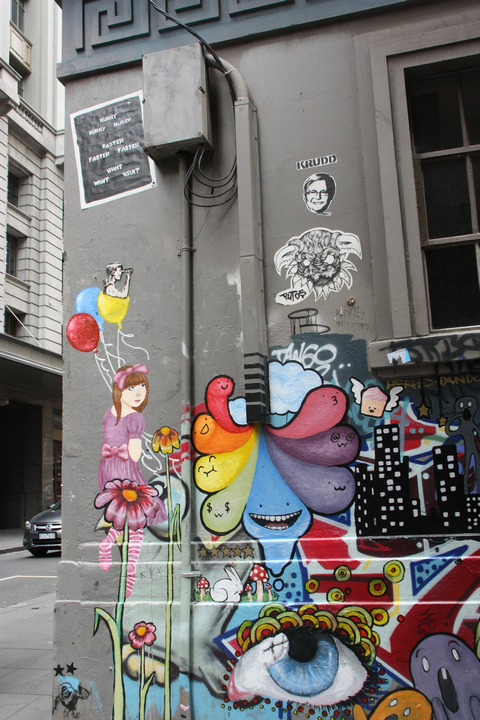 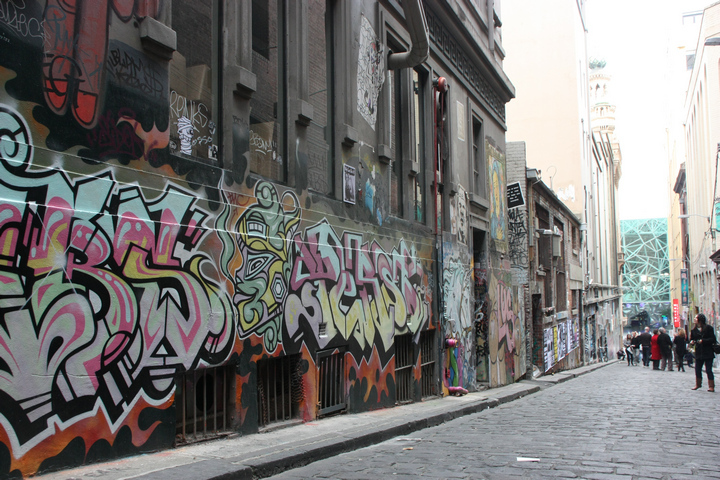 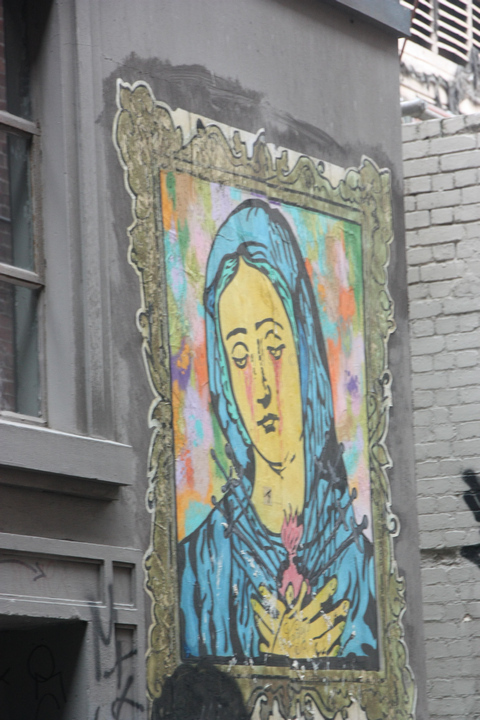 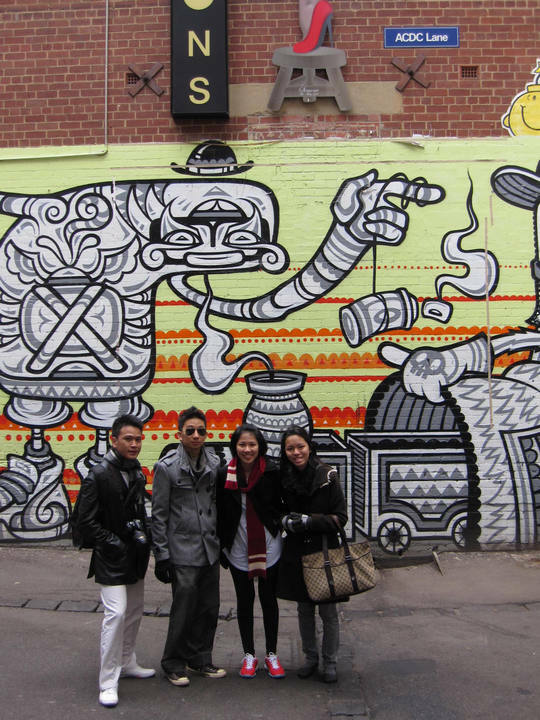 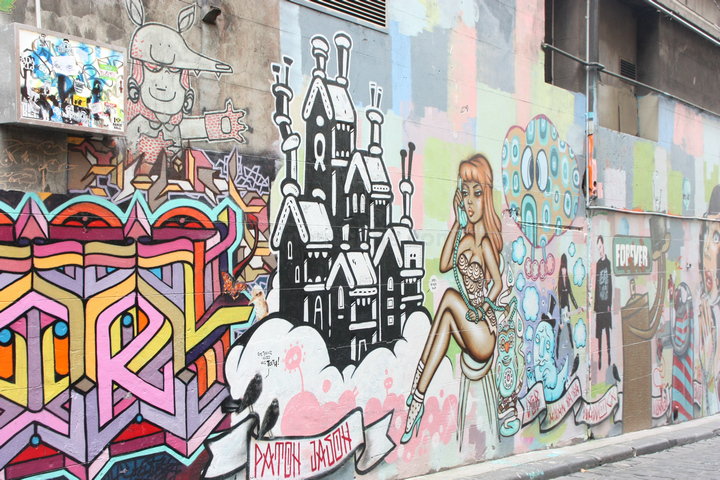 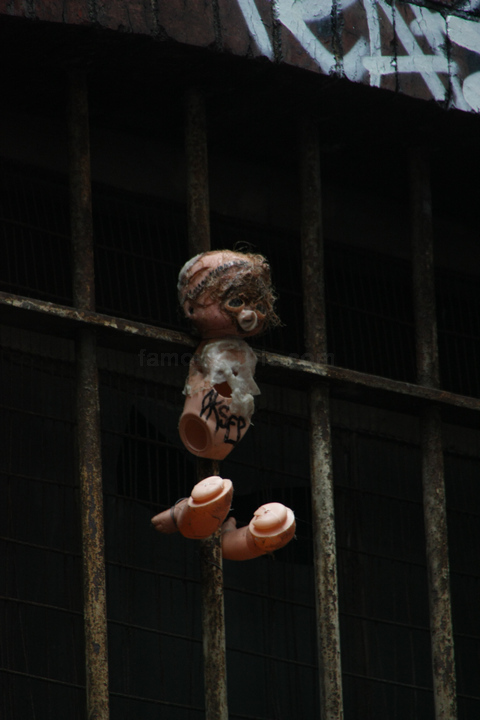 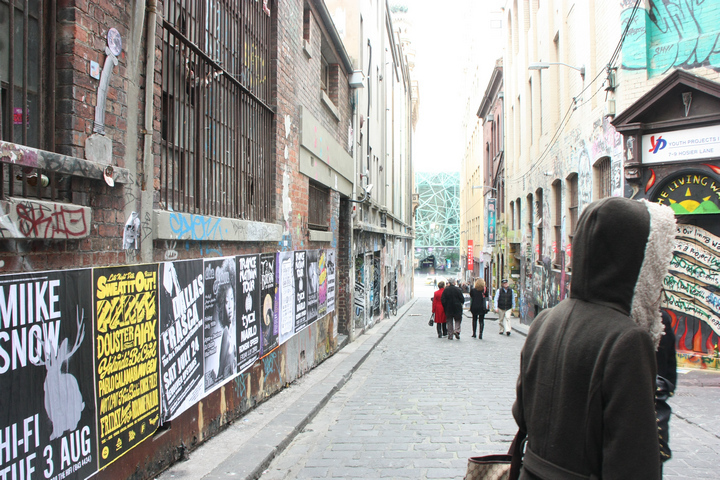 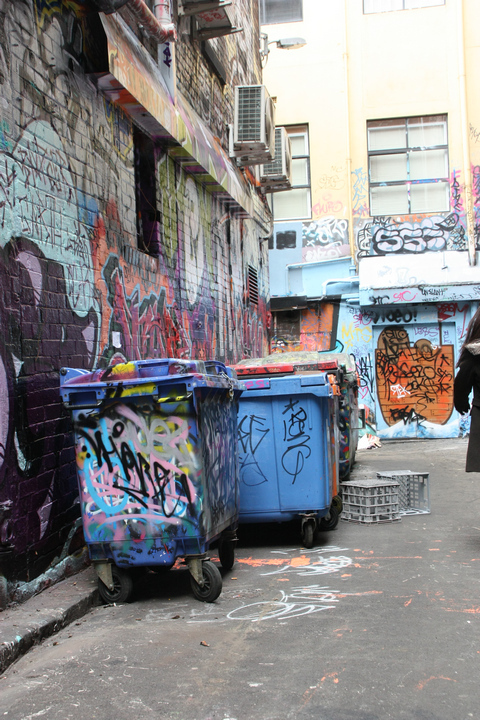 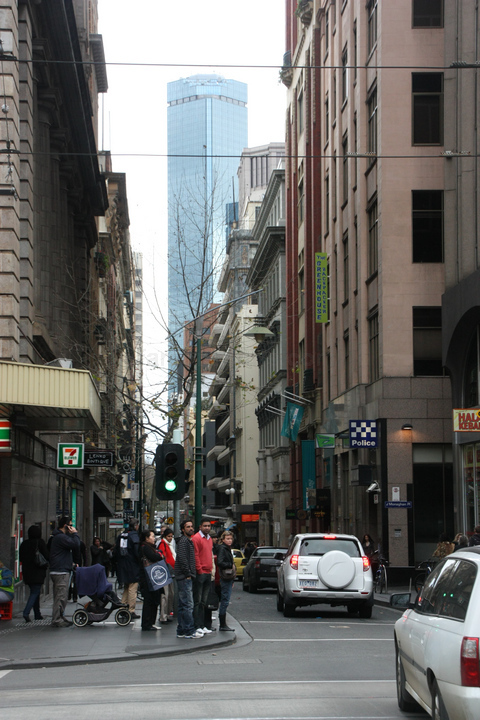 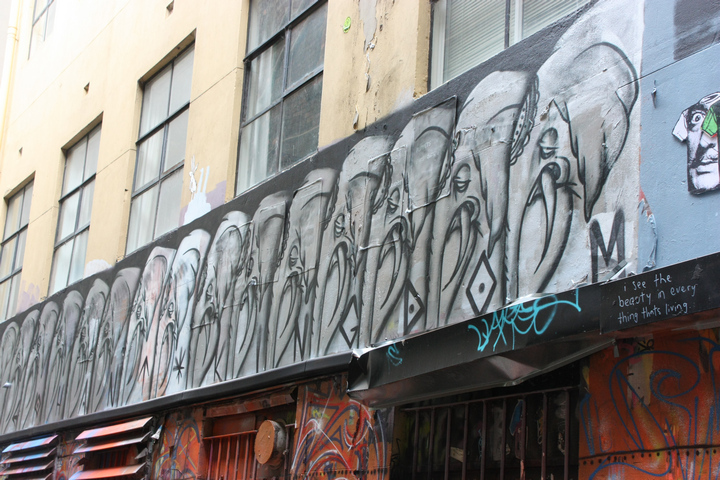 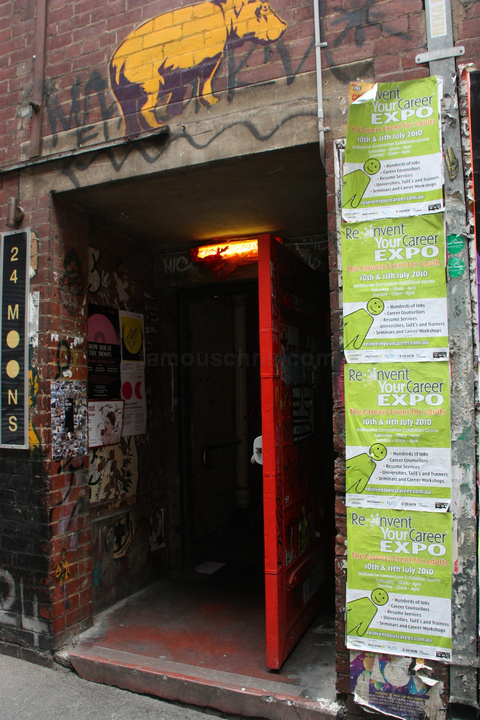 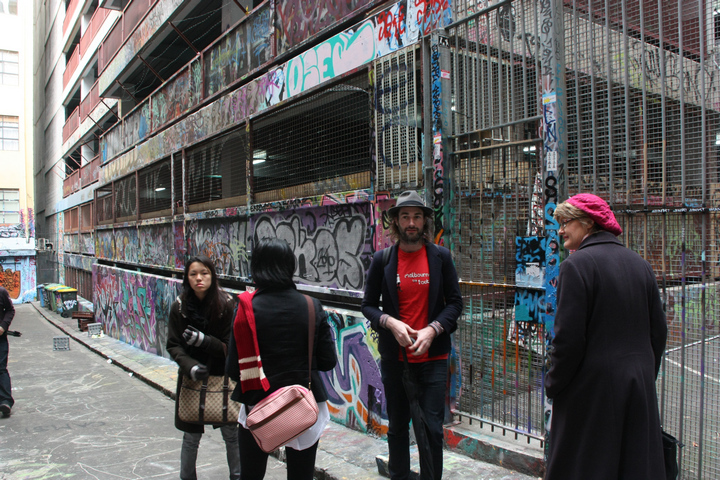 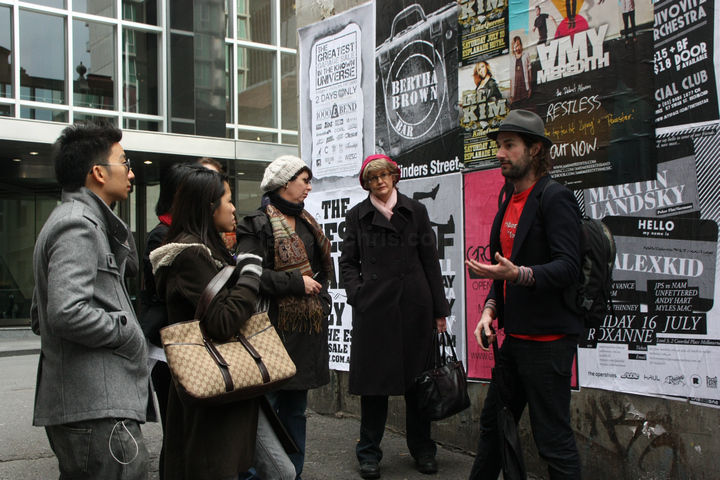 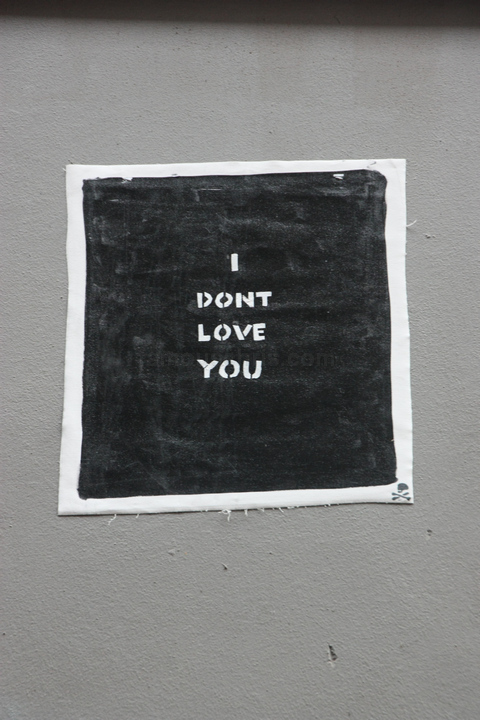 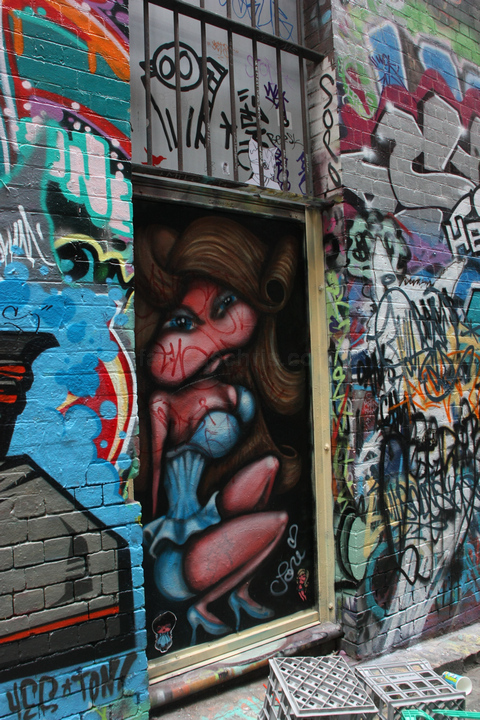 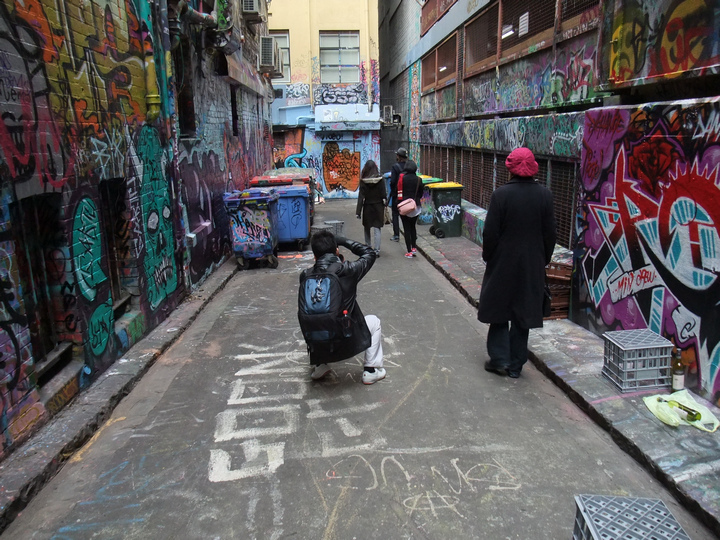 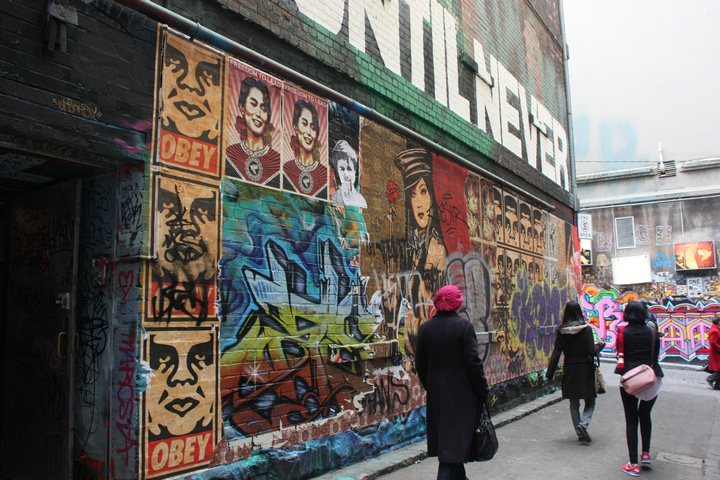 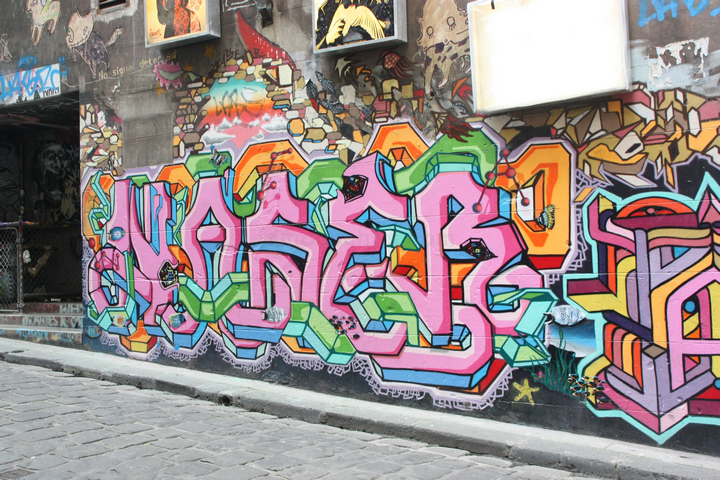 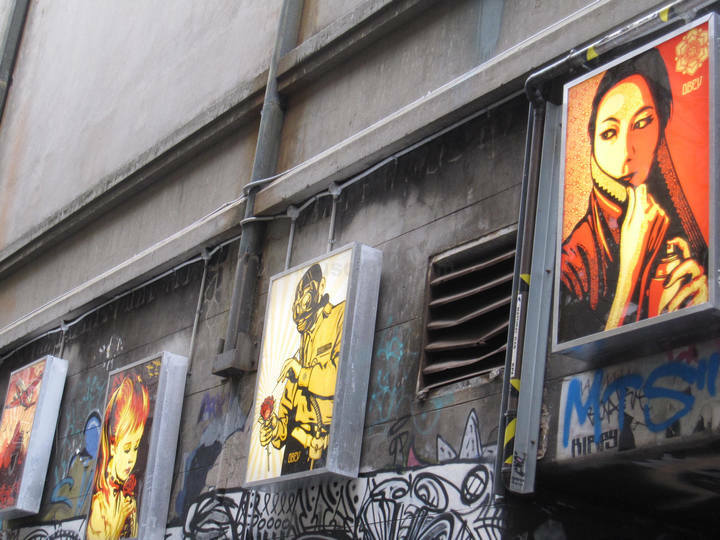 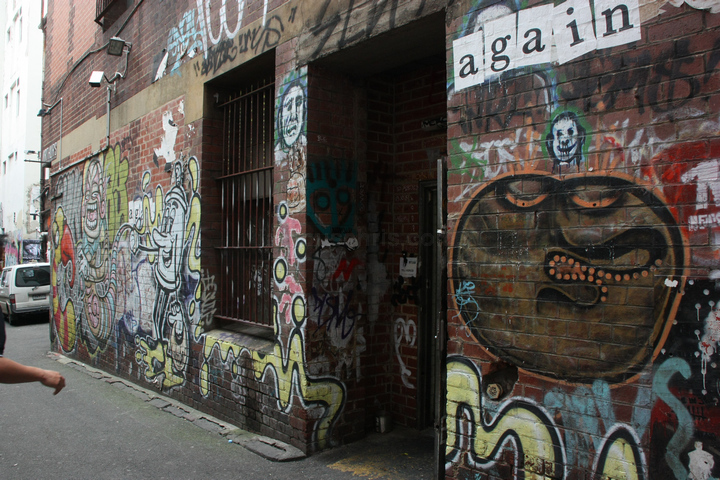 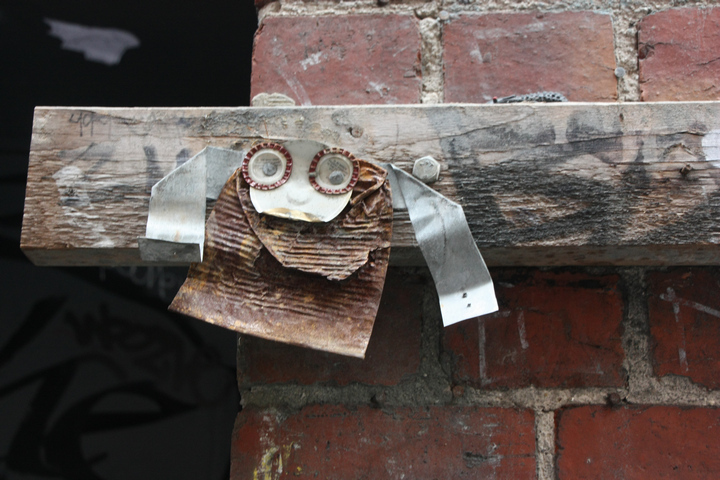 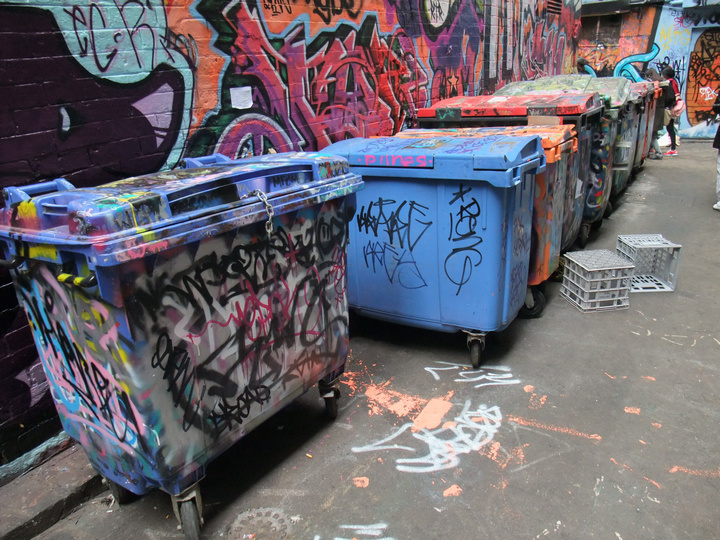 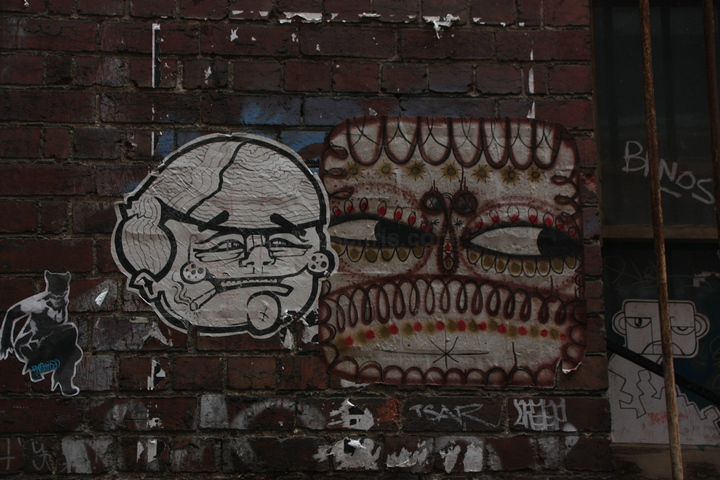 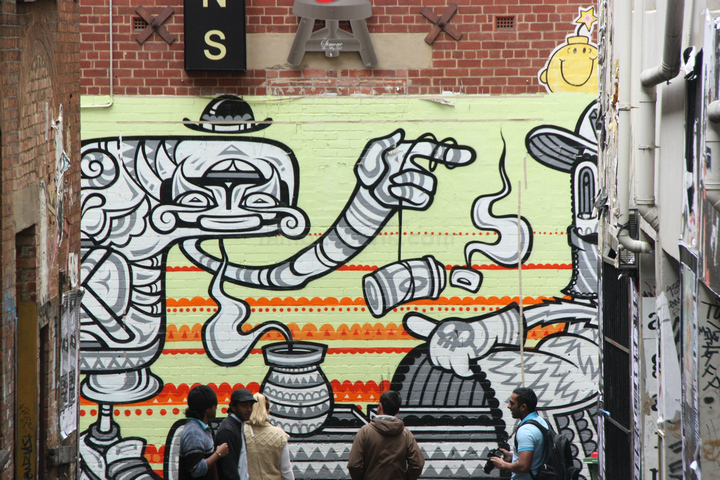 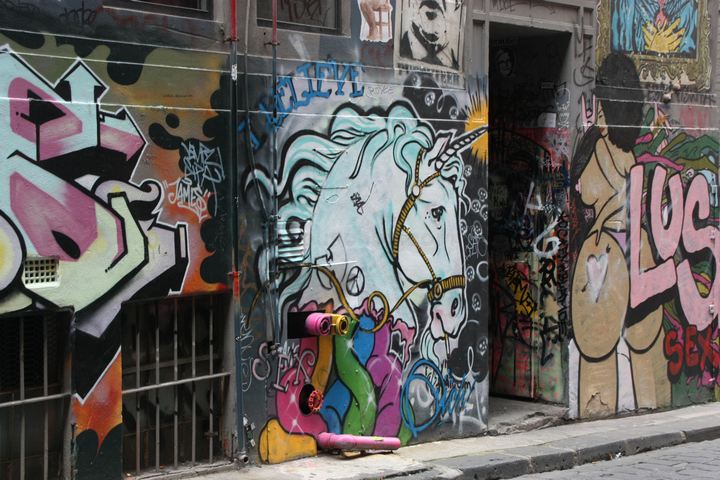 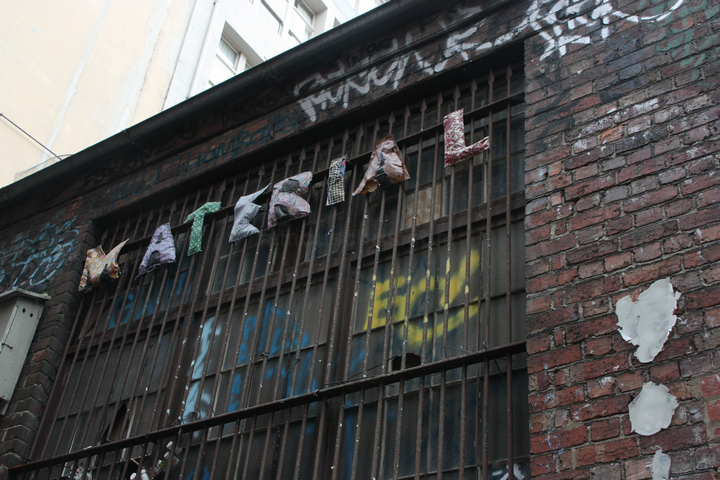 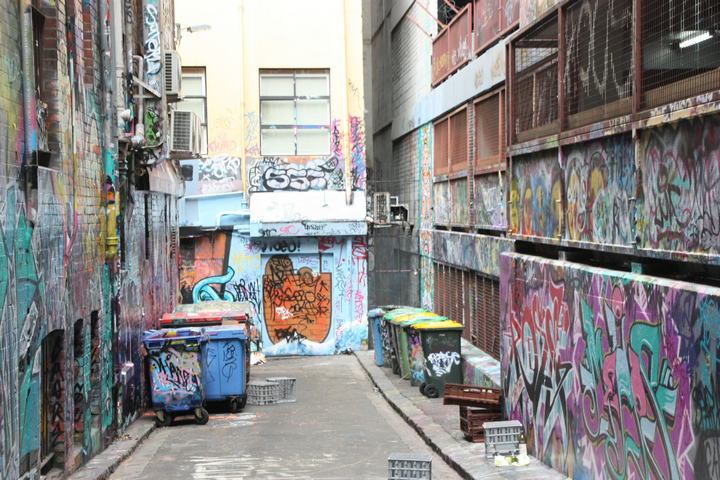 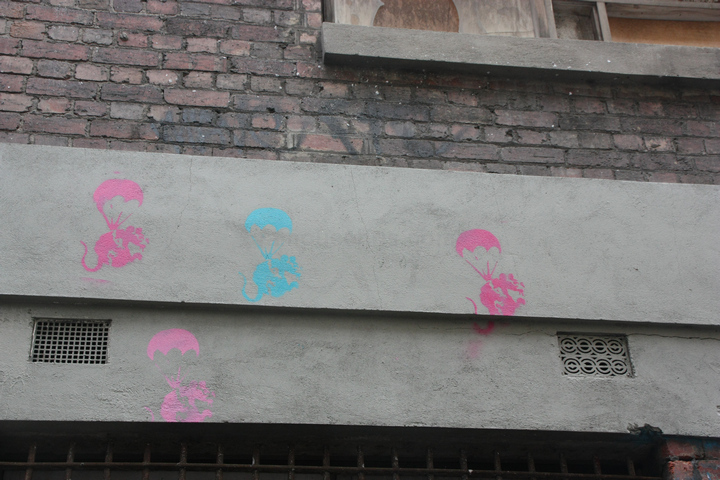 02.35 pm – Walked out of the laneway into the streets and ended up at Hosier Lane, directly opposite ACMI. 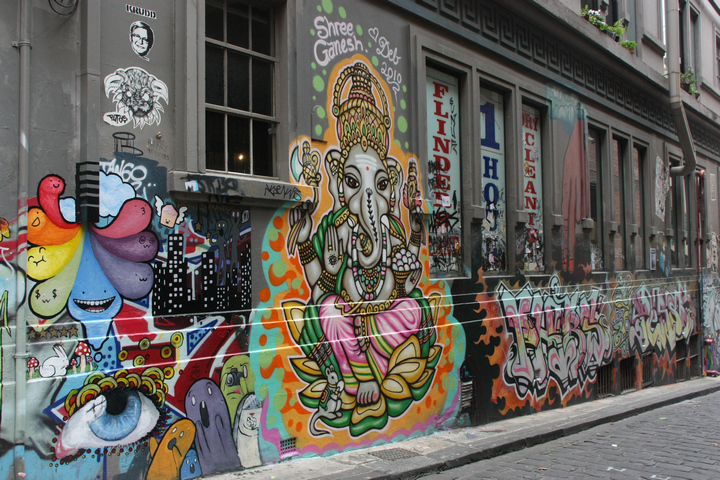 The lane being blessed by Lord Ganesh. 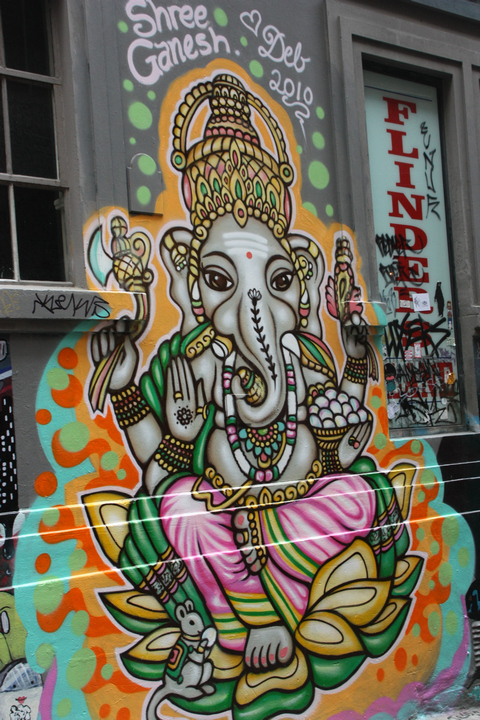 A close look at The Remover Of Obstacles. 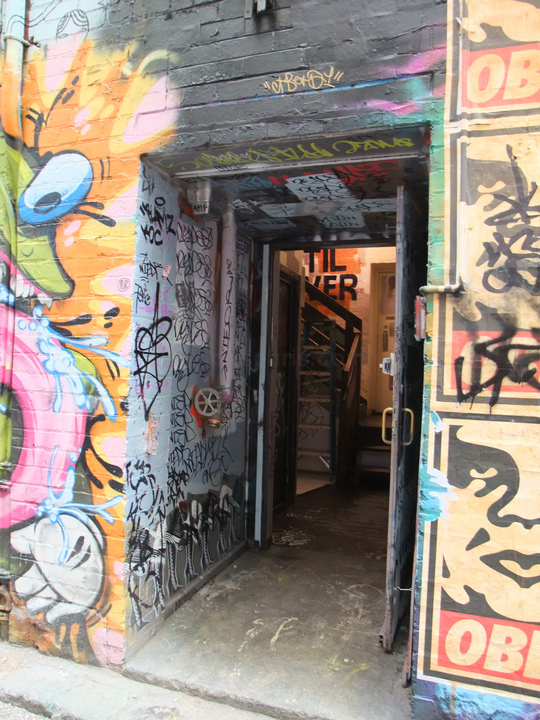 The entrance to an unnamed place. 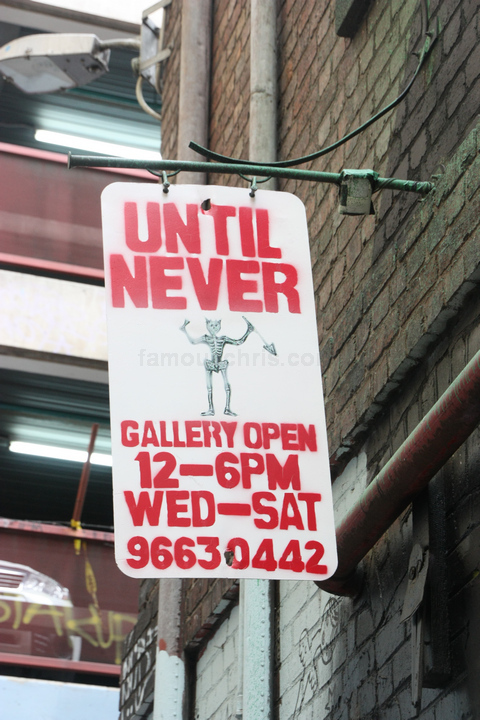 It simply means you should lust. 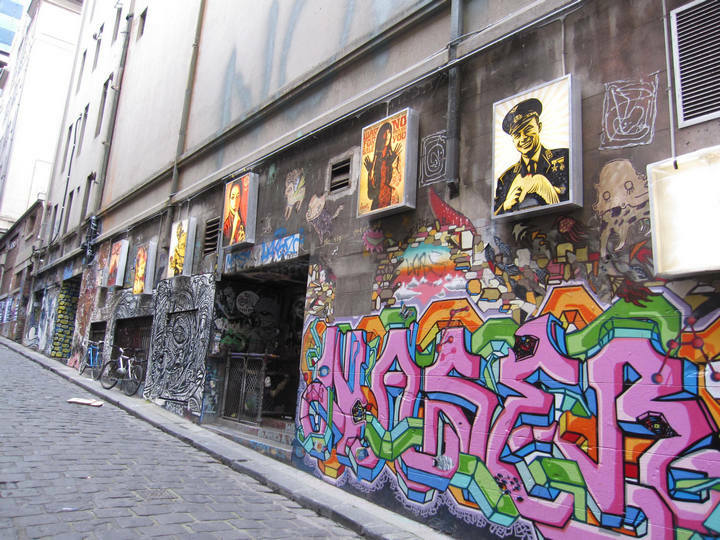 A dead end section of Hosier Lane. 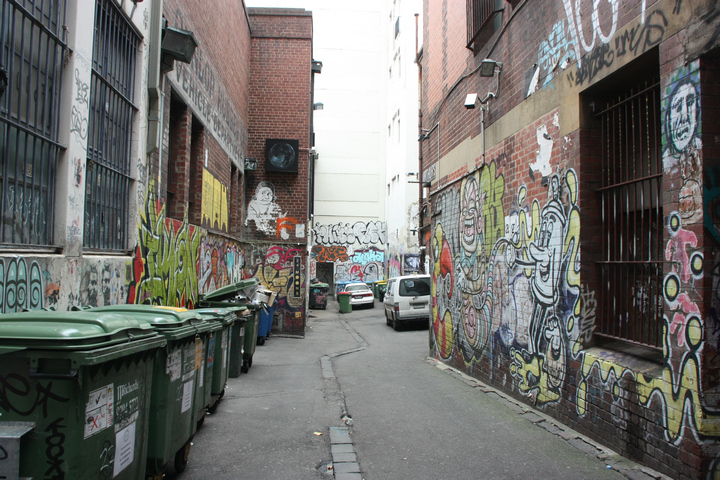 Although it’s a laneway where the rubbish bins are, I can tell you 100% that it looks clean and it smells clean. 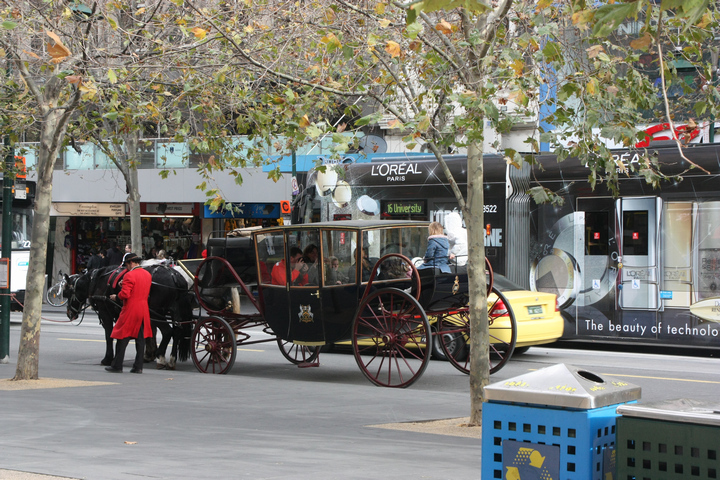 First world country, I suppose. 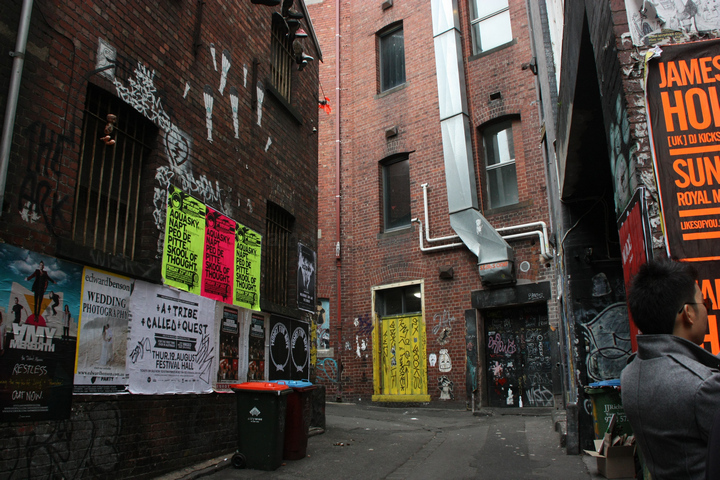 Looks like crap but once you go up, you’ll enter a different world, just like 24 Moons in ACDC Lane. 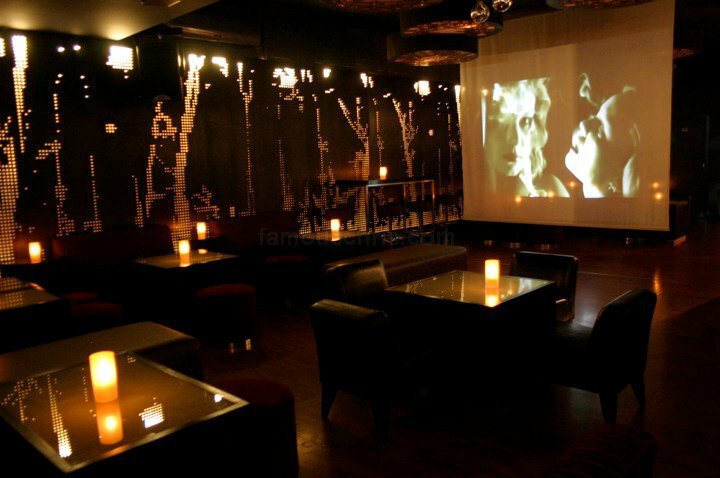 How it really looks like inside. 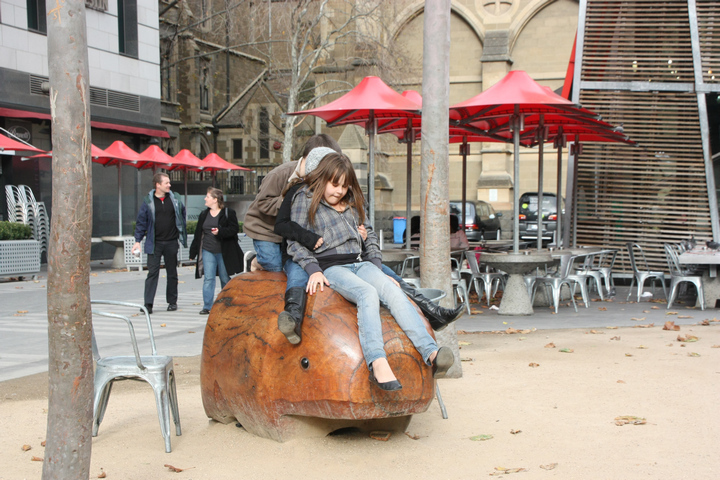 Kids on a wooden pig. 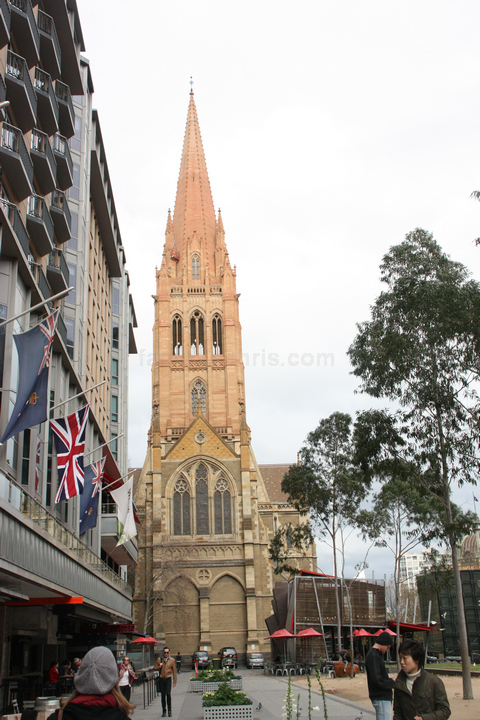 St Paul’s Cathedral in the distance. 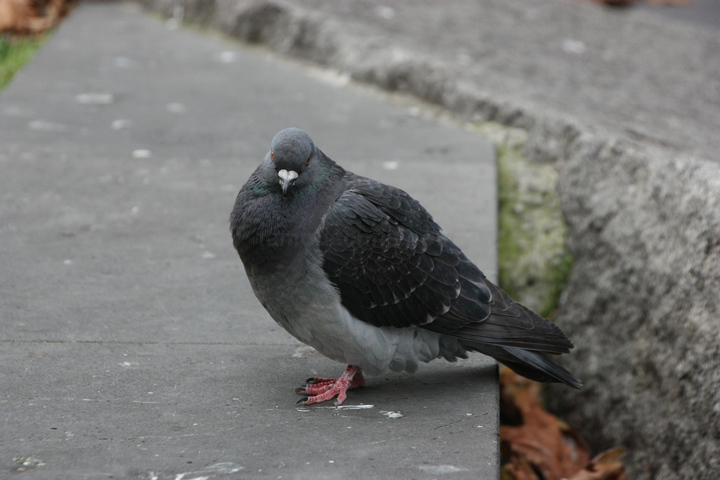 Waiting for the rest to come out of the restroom. 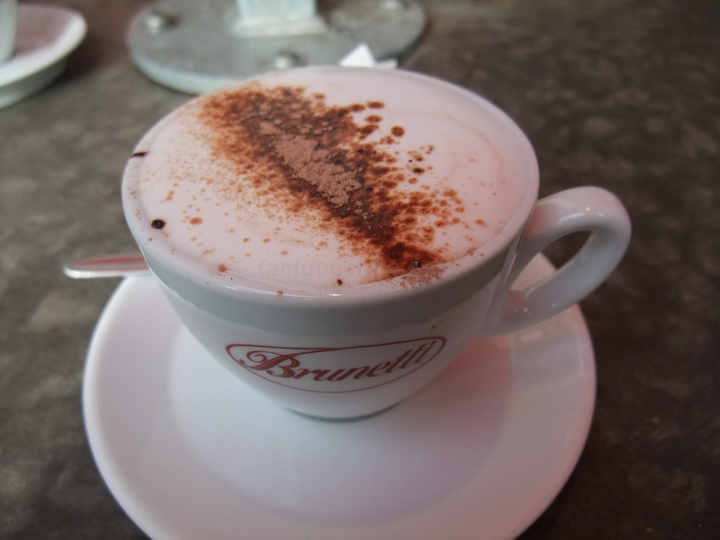 Ordered myself a cup of hot chocolate. 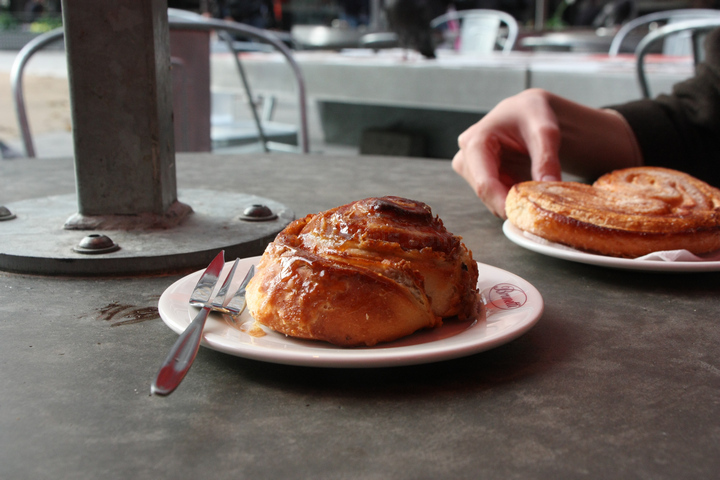 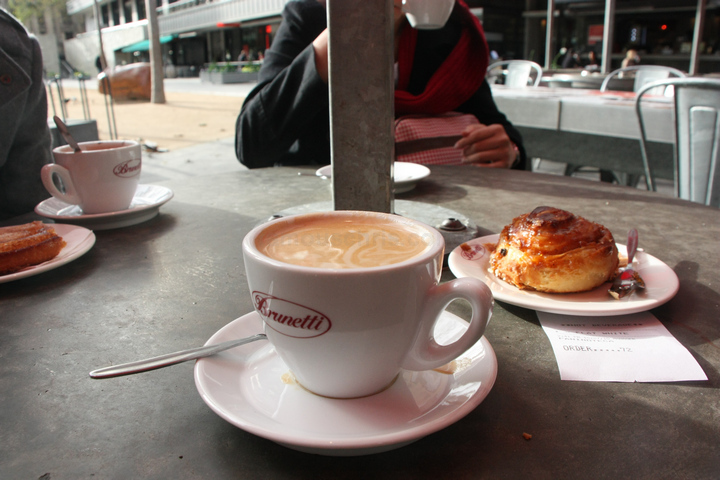 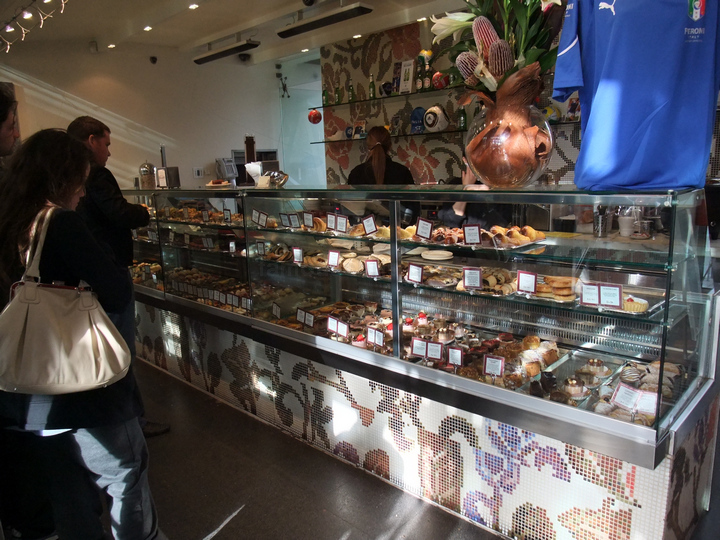 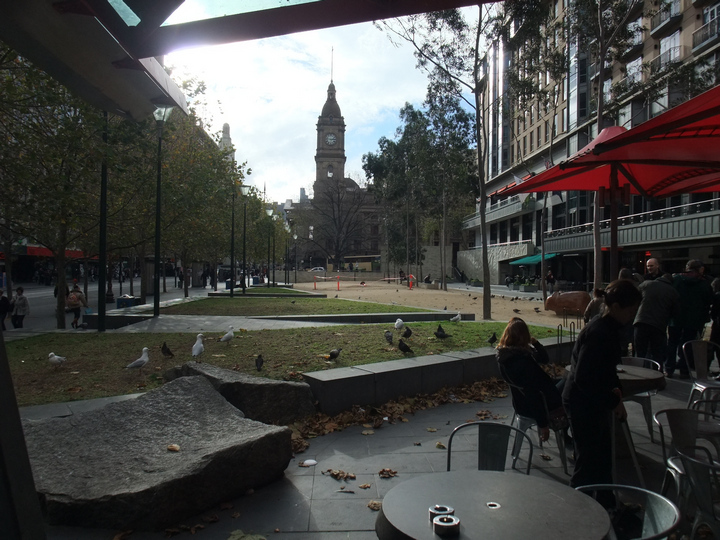 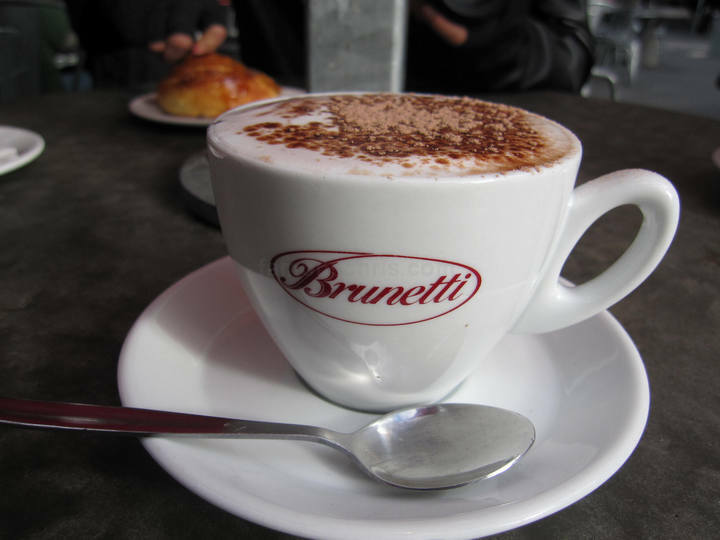 In Melbourne, everywhere we went, we only wanted hot drinks. 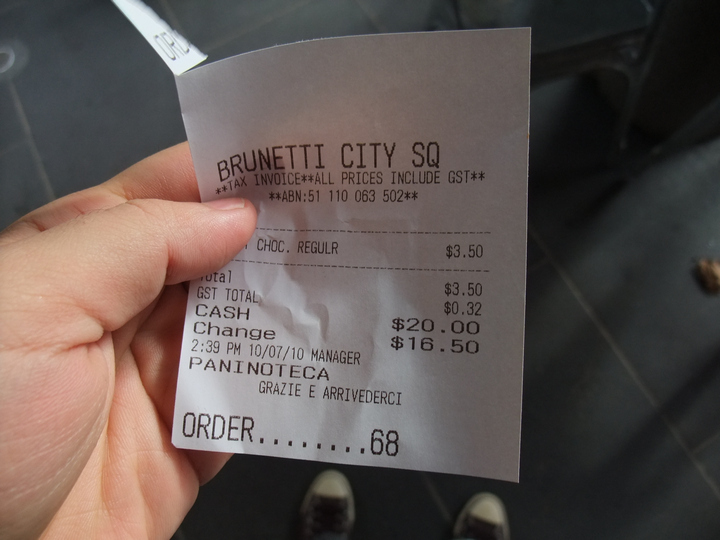 before my hunger took the better of me. 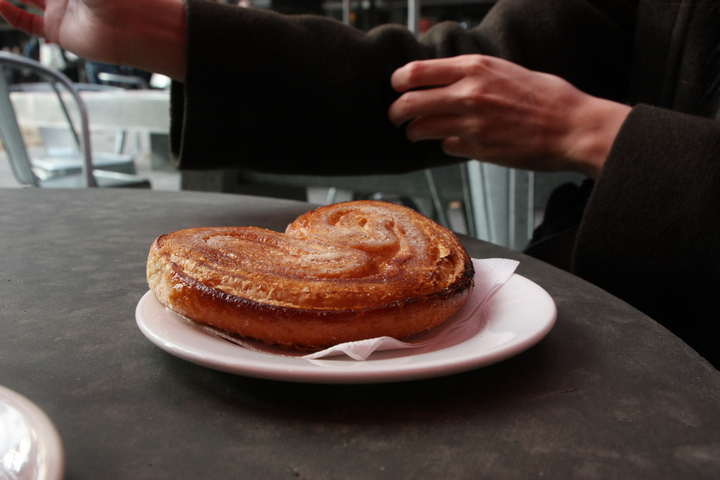 I forgot what this was called.